Home Face Cleansers & Toners Gentle Foaming Cleanser with Tamarind "Combination/Oily Skin"
This refreshing, skin de-stressing exfoliating cleanser removes everything that makes the skin look dull, leaving it smooth, soft and luminous. The cleanser for oily skin also preserves the skin’s natural balance. Enriched with gentle Tamarind Fruit Acids the exfoliating cleanser frees pores of trapped make-up, excess oil, pollutants and dull-making dead cells for a refined, matte complexion. As gentle as a cleansing milk, and as effective as soap, the silky lightweight lather rinses easily with cool water and helps to protect skin from the drying effects of hard water. Every day gentle foaming face wash suitable for oily skin. Rated 5 out of 5 by maria15 from Finally found a product that works I discovered this face wash a couple of months ago whilst watching a YouTube review video. For the last 3/4 years I’ve battled with bad spots around my chin and recently they have appeared on my cheeks. I’ve tried several washes and nothing even touched the surface until I brought this wash. It makes your skin feel so clean and soft after. I use it twice and day and you only need a tiny bit which is great. Definitely noticed my skin seems so much clearer. Would definitely recommend !!! Rated 5 out of 5 by iYasminx from I finally have clear skin! I have spent a lot of money trying multiple products to get rid of my spots. 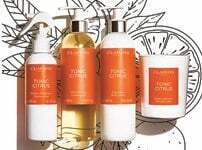 Hypoallergenic, perfume free cleansers, even proactive plus. This is the only one that has ever worked for me, and after success on my face I also started using once a day on my chest.. the before and after photos over the space of ONE WEEK say it all. I absolutely love this cleanser!! 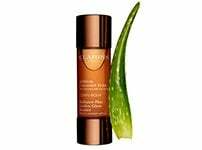 What’s even better is one small drop goes a long way, Thank you Clarins! Rated 5 out of 5 by NaturalBeauty from A great cleanser, and my absolute favourite! I've been meaning to write a review for years and finally got around to doing it, yaaaaay! 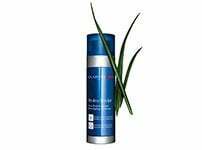 Gentle Foaming Cleanser with Tamarind "Combination/Oily Skin really is gentle and mild. This lathers like soap and thorughly cleanses your skin, including heavy makeup! All you you need is a finger tip - Just use a little to clean your face. Gentle Foaming Cleanser with Tamarind left my skin feeling really vey clean. I have been using this for years and no more spots! Result! 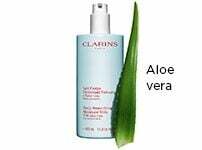 Rated 5 out of 5 by Glitterfan from My favourite Clarins cleanser I have combination/oily skin so thought I would give this cleanser a try. I love it! It cleanses well, doesn't dry my skin out and does help to combat the oiliness. Rated 5 out of 5 by Hayloft62 from Long lasting I always use a facial wash of some type and after having a friend recommend this to me I decided to treat myself as I wouldn't normally spend this amount on just a facial wash. It truly has been an investment as you only need a pea size amount to get a good foam and is going to last ages I find it removes all traces of makeup I use a silicone face brush which lifts all dirt from pores. I use it morning and night and it leaves my skin feeling clean but not tight. Don't ponder about buying this product you will not be disappointed. Rated 5 out of 5 by Jessie from Best Face Product Ever The Gentle Foaming Cleanser is absolutely incredible for my skin. I suffer with acne and was advised to buy this product and it has been the best decision ever! I do not suffer with spots now, and it leaves my skin looking and feeling amazing, and I have had a lot of compliments about my skin looking flawless recently after using this for about a month. I use this product with the Hydra-Matte Lotion which is also amazing too, and works very well with the Foaming Cleanser. I would definitely advise anyone to purchase this product. Rated 5 out of 5 by Stwin from Amazing Product!! Suffering from really oily/combination skin, I've only had a few good skin days throughout my teen/make up wearing years. I've tried the majority of skin care brands - Kiehls, Clinique, Estée Lauder to which all have never made my skin settle or feel clean they just gave me that meh feeling.. having read reviews about Clarins oily/combination range to which I was reading nothing but good reviews- although I first thought it was a little pricey (with this cleanser, the iris toning lotion and the daily energising cream) but after using the three products together the smell of all of these is beyond amazing I never want to stop rubbing it into my skin!! And the results well you need to see for yourself- no word of a lie you can see the results the morning after! The morning I woke up I looked at my skin and actually smiled how amazing and radiant it looked- my nose is what bothers me the most because with oily skin you get severely clogged pores and blackheads to which I've had forever, this range has not only made me nose clear up to the point the blackheads are hardly noticeable I am now confident enough to wear no makeup just the moisturiser to work. I no longer have to see oil seeping from my nose, forehead and chin. I'm 21 so it's obvious I'm going to get the odd spot now and then but seriously this range has calmed my skin down so much it's unbelievable. I can not thank Clarins enough for this range even my twin sister who suffers the same has now started the use it and has said how radiant and clean her skin is looking- if you suffer from oily spot prone skin do not hesitate to invest in Clarins oily range you won't find better. It's now going to be my skin care for life!! Rated 5 out of 5 by Lisamarie1 from Best cleanser by a mile! I have oily skin and could never find the right balance of face wash to control the oil but not dry out my skin. 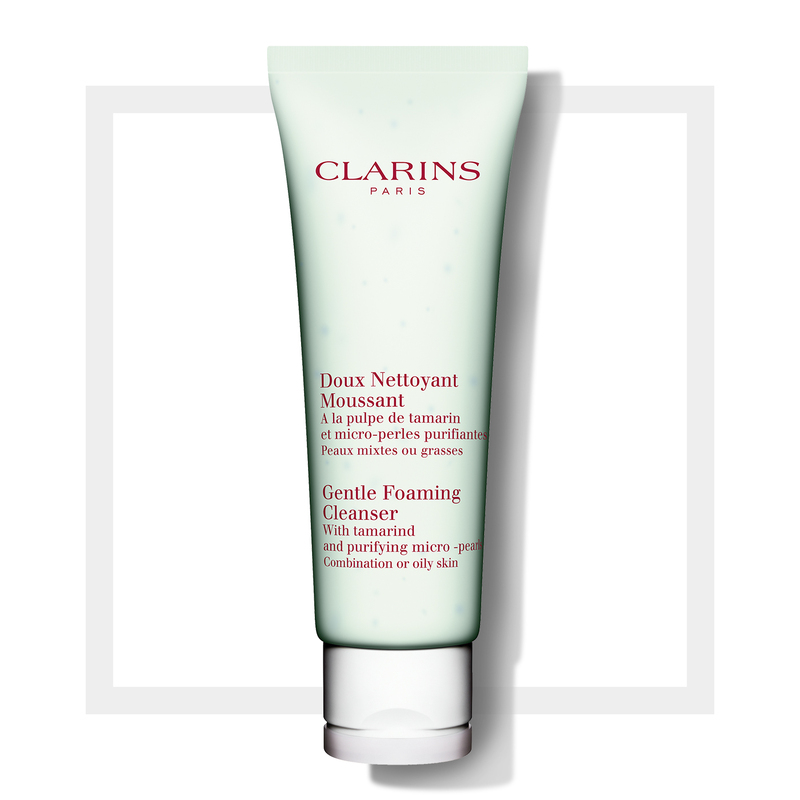 This wash leaves your skin squeaky clean but does not dry the skin out, absolutely great when used with your favourite Clarin's moisturiser!